It’s been too long everyone…Happy New Year! How has everyone been?? I’ve been really looking forward to 2015, hoping that it will bring about some fun changes to my personal life. Work has been busier than usual, so I do apologise for my absence here! 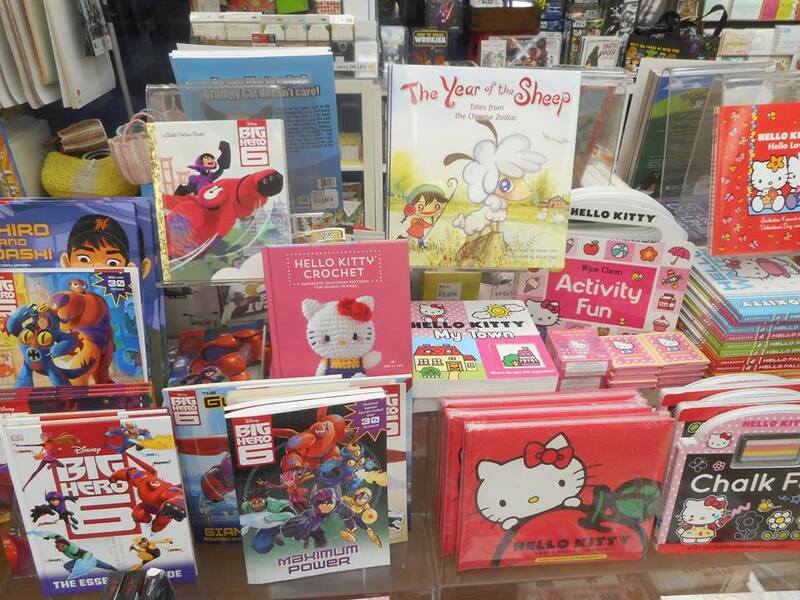 Hello Kitty Crochet spotted in Kinokuniya, Little Tokyo, Los Angeles! 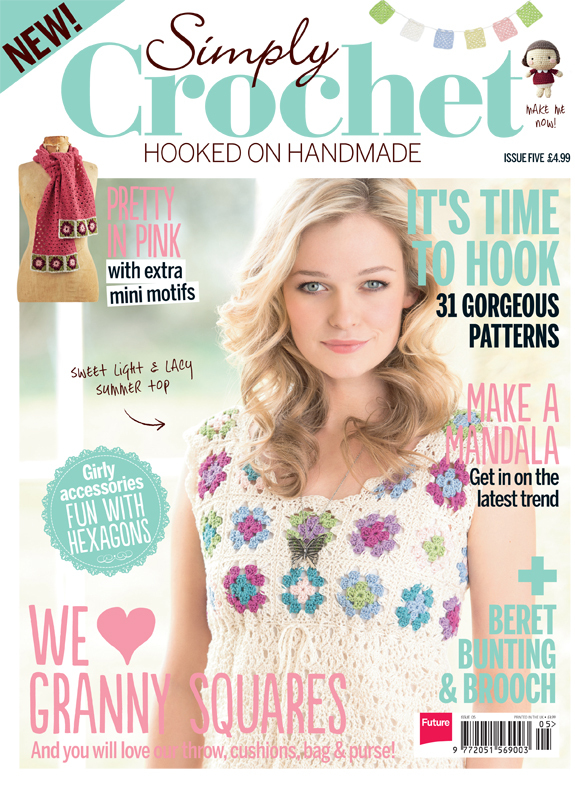 In the mean time, I’d like to share some great news: my book, Hello Kitty Crochet, has just won the 2015 Family Choice Awards! やった! Here’s my shameless snapshot of the win! 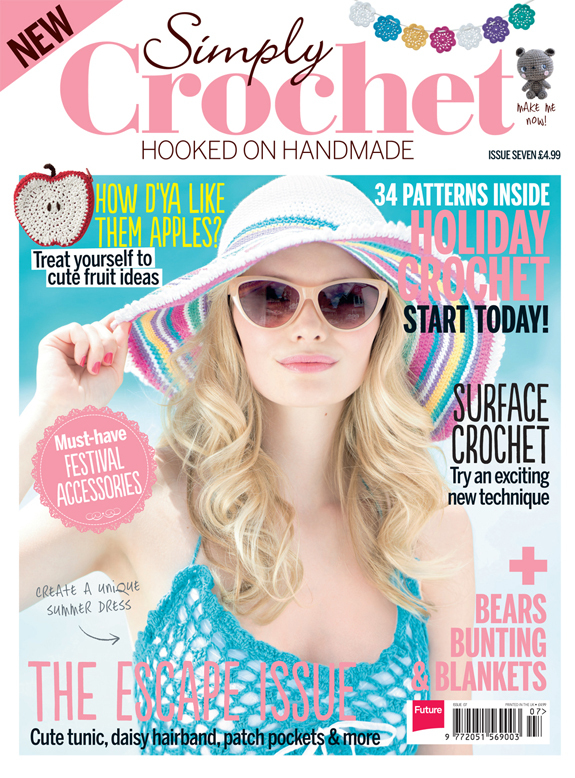 Now, the Family Choice Awards recognise the best in children’s and parenting products. Now in its 19th year, the awards programme is one of the most coveted, family-friendly consumer award programs in the United States! What’s more, bestselling author Nicholas Sparks won in 2013…to be put alongside the ranks of Nicholas Sparks…(I suppose I can daydream a little, can’t I? )…I can’t help but say what a great honour that is. If you had asked me three years ago, I would’ve had no idea that I would be publishing a book, much less winning an award for it! Thank you, thank you to everyone who have supported me thus far and for those who have been relentless in giving me your love! I hope to be able to do more to share the amigurumi love. Please wait for more great things to come! 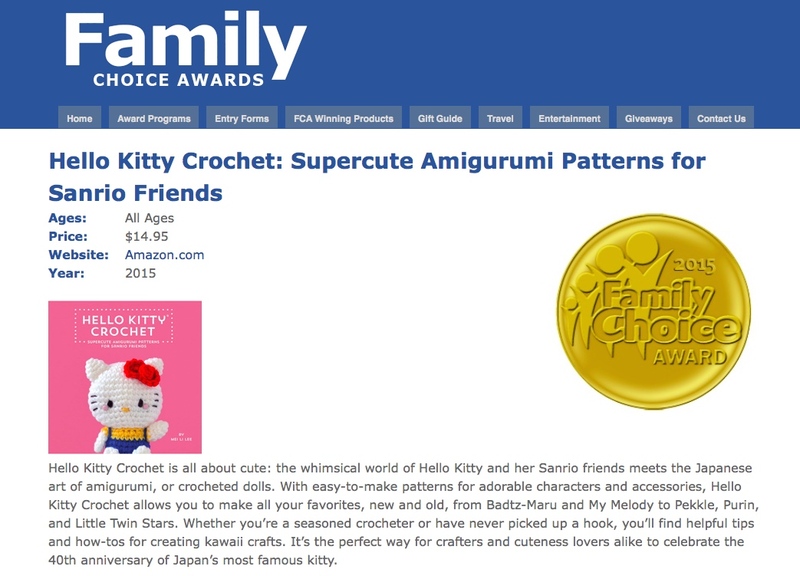 Click here to read more about Hello Kitty Crochet and the 2015 Family Choice Awards.